Table 1. Mean Values of the Various Parameters Indicative of Airway Involvement in the Overall Group of Asthmatic Children and in Subgroups of Moderate Asthma and Severe Asthma. Table 2. Mean Values of the Various Parameters Indicating Small Airway Involvement in the Overall Group of Asthmatic Children and in Subgroups of Moderate Asthma and Severe Asthma. Table 3. Number of Parameters Indicating Abnormal Airway Involvement in the Overall Group of Asthmatic Children and in Subgroups of Moderate Asthma and Severe Asthma. Table 4. 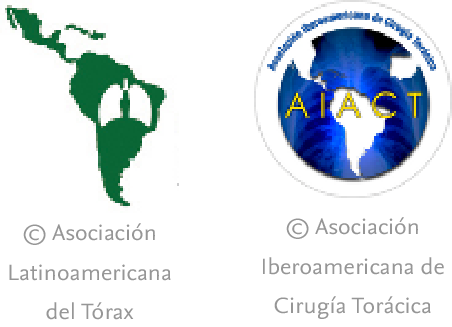 Comparisons of the Various Parameters Indicating Small Airway Involvement in the Group of Asthmatic Children With Positive and Negative Bronchodilation Test. Table 5. Mean Values of the Various Parameters Indicating Small Airway Involvement in the Overall Group of Children With Good and Poor Asthma Control. This was an open-label, prospective, observational, cross-sectional study with consecutive inclusion of patients with moderate-severe asthma, receiving standard clinical treatment, with normal baseline FEV1. We determined multiflow FEno (CAno), oscillatory resistance and reactance (R5–R20, X5), forced spirometry (FEV1, FEF25–75), total body plethysmography (RV/TLC) and bronchodilation test. SA involvement was defined as: CAno >4.5ppb, R5–R20 >0.147kPa/L/s, X5 <−0.18kPa/L, FEF25–75 <−1.65 z-score, RV/TLC >33%. Poor asthma control was defined as ≤19 points on the ACT questionnaire or ≤20 on the c-ACT. Estudio abierto, prospectivo, observacional y transversal con inclusión consecutiva de casos con asma moderada o grave, bajo tratamiento clínico habitual con FEV1 basal normal. Se ha determinado la FEno a flujos múltiples (CAno), resistencias y reactancia oscilatorias (R5-R20, X5), espirometría forzada (FEV1, FEF25–75), pletismografía corporal total (RV/TLC) y prueba de broncodilatación. La afectación de la VAP se definió por: CAno>4,5ppb, R5-R20>0,147kPa/L/s, X5<−0,18kPa/L, FEF25–75<−1,65 z-score, RV/TLC>33%. El mal control de asma se definió por≤19 puntos en el cuestionario ACT o≤20 en c-ACT.